The kitchen serves as the communal hub for any home, perhaps even more than the living room. Friends and family gather here to enjoy quality meals and special moments. Here at ProSource® of Oklahoma City, trade pros will find the kitchen remodeling products they need to help transform the kitchen into a celebrated space for all. The kitchen is an active and dynamic space. Your clients don’t want cluttered countertops keeping them from their next culinary creation. Work with our kitchen design specialists to craft custom cabinets that can provide a kitchen valuable and stylish storage space. While custom cabinets already add to the ambiance of any kitchen, the right hardware for your cabinetry can help them really stand out. 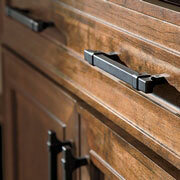 Trade pros know the value of hardware, that’s why we offer a complete line of knobs, pulls, and handles in our showroom. 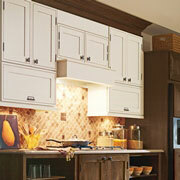 For an immediate update to any kitchen, trade pros are quick to put in new countertops. 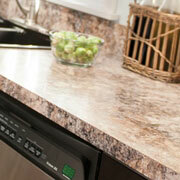 We offer countertops made from marble, granite, and recycled materials. Not sure which is right for your kitchen remodel? Work with our showroom specialists to find a perfect fit. Your kitchen sink can really tie the decor of the room together. That’s why we offer single, double, and triple basin sinks in materials like marble, and stainless steel. We have sinks that can be mounted above or below the counter so that your clients can have the sink that fits their needs and desires. 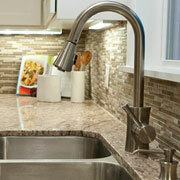 A good kitchen faucet harmoniously balances form and function in each fixture. 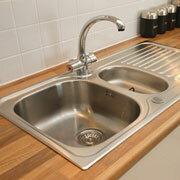 With modern amenities like beverage and pot fillers, kitchen faucets are much more than just a tap and handles. ProSource carries faucets from top-brands and in a range of styles and finishes.